Fell Road (looking from Katherine St) is about 70 metres and just around the corner from the Croydon Library complex entrance and access to the Cinema in Katherine Street. There are 6 dedicated disabled parking spaces here (shown on the left). Further along there are normal meter bays. Mint Walk is off Fell Road where there are some more meter bays. 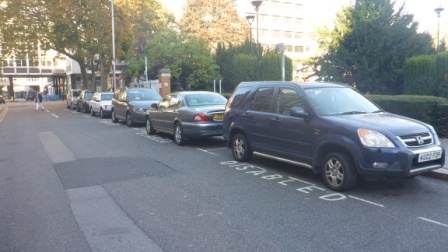 Opposite Fell Road and on the other side of Katherine Street there is room for 3 cars displaying Blue Badge permits on single yellow lines in St George’s Walk. The dedicated disabled parking spaces in Fell Road have a 3 hour parking limit. 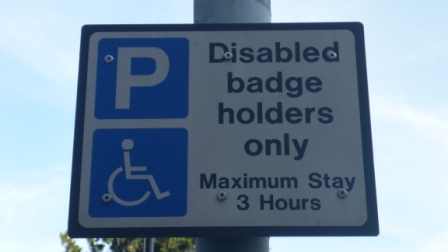 More information about using Blue Badges in Croydon can be viewed here. 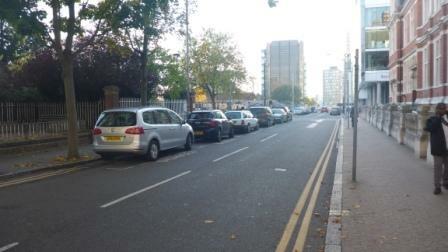 Fell Road looking towards Katherine St with the six dedicated disabled parking bays shown here on the right.